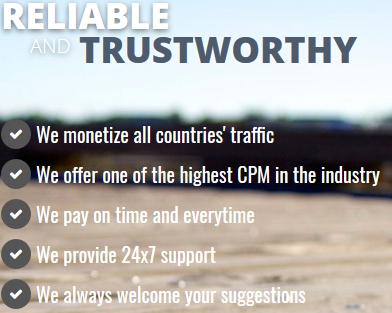 AdsModern Review CPM/CPC Ad network Review with payment and Ecpm Details. Here I am with latest Ad network Review-AdsModern.com. Which is new in ad network industry and performing well.You must give a try as they are paying to their publishers on time without delay.They currently offer Paypal as a payment processor. In future they are planning to add more payment options to their system.Their min payment is also low. 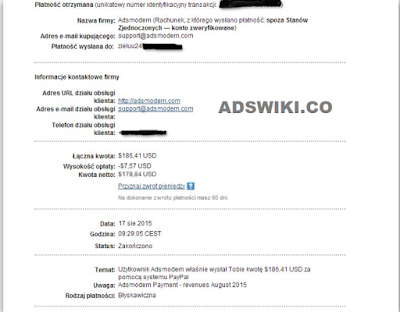 Adsmodern is new ad network so its hard to predict about it.But one of my friend publisher got payment of 180 & from them.So on that basis you can trust them and can say they are legit ad network. Suggestion from Adswiki to Publishers. 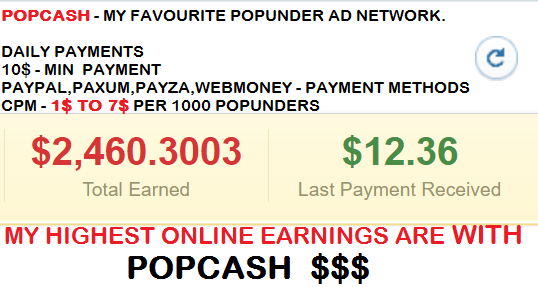 When you join any of new ad network.for your 1st payout After reaching min payment please request cashout. Don't wait for earning Much money.when you successfully get your 1st payment thereafter you can wait for earning good bucks before requesting payment. 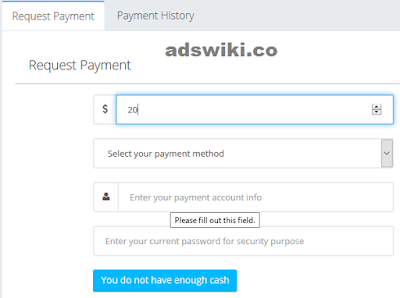 This way you will not loose your traffic revenue.If your 1st payment not processed stop their ads.This tip for all new ad networks. 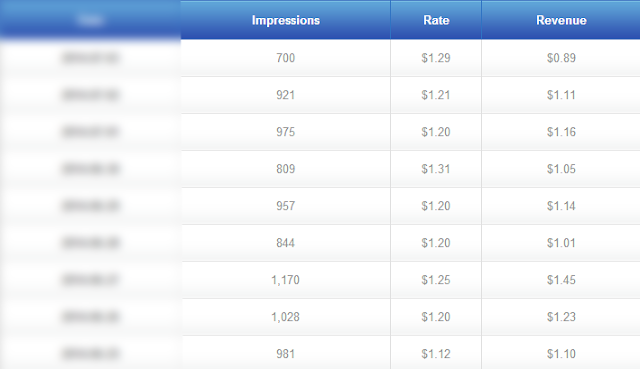 They provide you multiple monetization options like CPM,POP,Popunder,Direct PTP link ads. CPM rates depends on GEO's,Country of visitor,Available advertisers requirements and many more factors.they offer Decent rates to their publishers. They pays rates according to Tier system (1st tier have highest rates and 4th tier lowest). Join Adsmodern to Monetize your Traffic. Australia, Canada, Germany, United Kingdom, United States. Italy, Netherlands, New Zealand, Norway, Spain, Sweden,Belgium, Denmark, Finland, France, Switzerland. Saudi Arabia, Singapore, Turkey,Brazil, India, Indonesia, Israel, Japan, Malta, Mexico, United Arab Emirates. They pays NET30 basis on 7th of every month.Min payment threshold is only 10$ payment processed via paypal.Currently only paypal is available payment option. 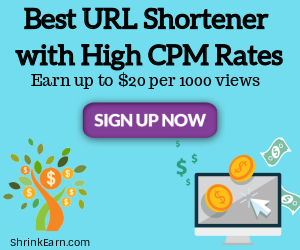 Propellerads CPM ad network Reviw. How to Place Ads on My website with Adsmodern? Go to my sites section put your site URL >Category>Top 5 Traffic source countries and click on add site. Then you get Verification Meta Tag>Copy this meta code. Paste the meta code below <head> tag if it shows error then close the tag with </meta> closing tag. You all done.Wait for Website get approved from Adsmodern>after approval you will get a mail then Click on Ad tags button and get your ad codes.Paste them in HTML of your website where you want to show the ads.Generally ad codes are pasted after <head> tag. HilltopAds Premium CPM ad network for Pro websites(blogger.com sites not accepted). No min traffic requirement so even small publishers with less traffic can start with them. Bot traffic ,Hitleap traffic & Proxy traffic not accepted if you found serving fake traffic your account get terminated without paying your revenue as it is from fake traffic. Check their blocked domains page where they specified the web adresses from which they dont accept traffic.if its found that the referred traffic coming from that URL's you will get banned. Earn Extra Revenue along with Advertising. Refer other publishers to work with adsmodern and earn 5% commission on successful cashouts of referrals. Hi, I've heard they are very strict with the adult websites? Is it true? Should I try them or quit?